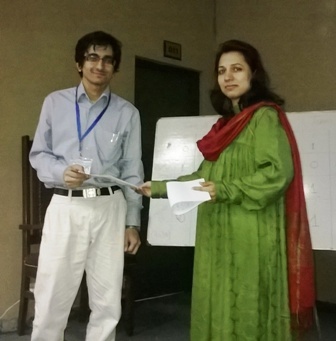 The Benade Physics Society organized a Quiz Competition on Thursday 3April 2014. The quiz competition was based on the idea that the sciences are inter-related and that their knowledge is essential for all baccalaureate students regardless of what major they choose. The event started with the recitation of Holy Quran and Holy Bible followed by an introduction of the team. There were three teams in the competition; each team had five members who belonged to different departments i.e. Physics, Chemistry, Biotechnology, Computer Science and Mathematics. 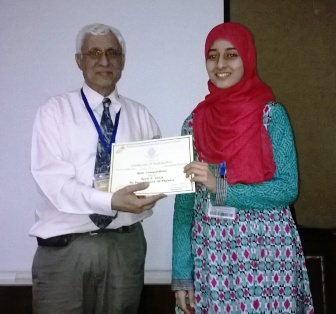 Dr Sarah Yasir and Dr Muhammad Azeem were the respected jury members. This quiz competition was very helpful for students in evaluation of their knowledge also; it provided them a platform where they learnt how to work as a team. 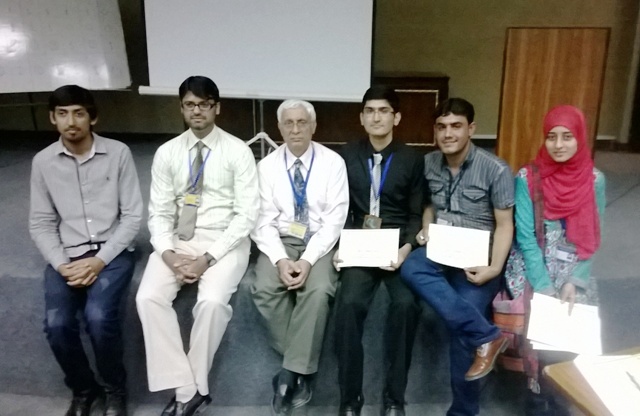 In the end certificates were distributed among all participants by Chairperson Physics Department Dr Fareeha Hameed; while the winning team was awarded a cash prize of Rs 2000 by Acting Vice Rector Dr Sufian Aslam.